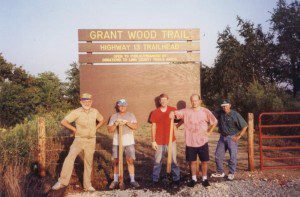 LCTA is a group of motivated, creative volunteers combining vision, partnerships, and stewardship of resources to make trails happen. Our Mission is to be a catalyst for the development and growth of a system of connected, multi-use trails through Linn County and Eastern Iowa. The development of a trail system requires planning to assure the most effective use of resources and maximum connectivity. The fulfillment of our mission requires the recruitment and involvement of a diverse support base. We must always be in a position to provide the seed for growth and the vehicle for awareness. We must foster awareness and commitment at every level of government to assure resources are appropriated and effectively allocated for trails. Our mission can only be accomplished when supported by an informed and committed public.